Infinity Station was founded on the premise that schools need ADA compliant, adjustable computer workstations that will fit as many students as possible. Adjustability is the primary focus of our School Computer Workstation, this desk will fit most elementary school students and nearly all high school and college students, from about 4' 0" to 6' 4" tall. Currently, school students are exposed to ergonomically incorrect furniture. Classrooms generally have only one size of chairs and tables, of fixed height, designed to fit the average size student in that grade. We all know that there are very few kids who fit the average range of measurements for more than a "few minutes" in their growing years. In a study we conducted, with an SBIR grant from the US Department of Education, students rarely fit at the computer workstations provided by schools. Out of the 72 students that we studied in grades 1-12, there was only one student who was an ergonomic match for the computer workstation provided for that grade level. Our goal is to place adjustable computer workstations in every school throughout the nation. Please let schools know that we have a solution, our School Computer Workstation will benefit first grade through high school and college students. 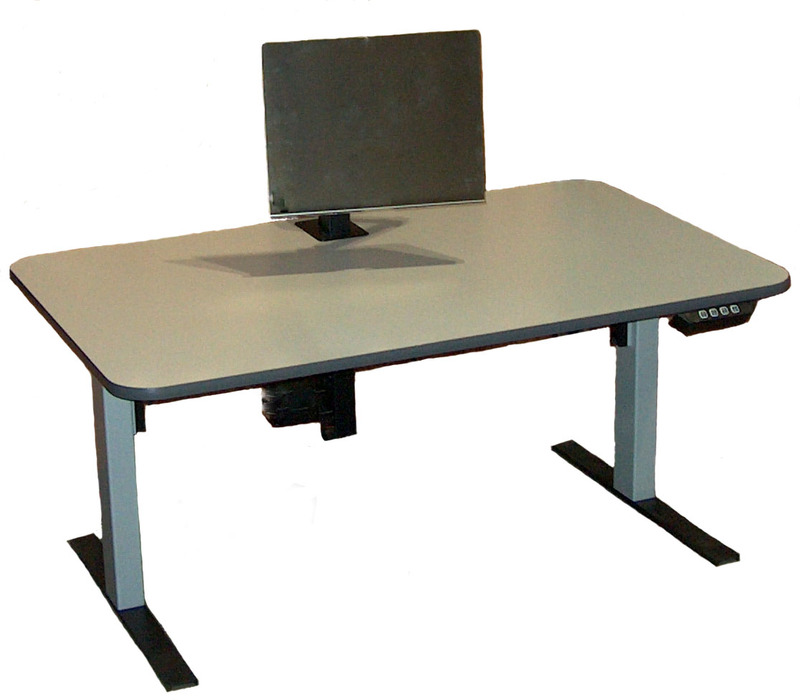 The picture below shows a School Computer Workstation in its lowered height of 18", with a working range of 12", the work surface upper limit is 30".